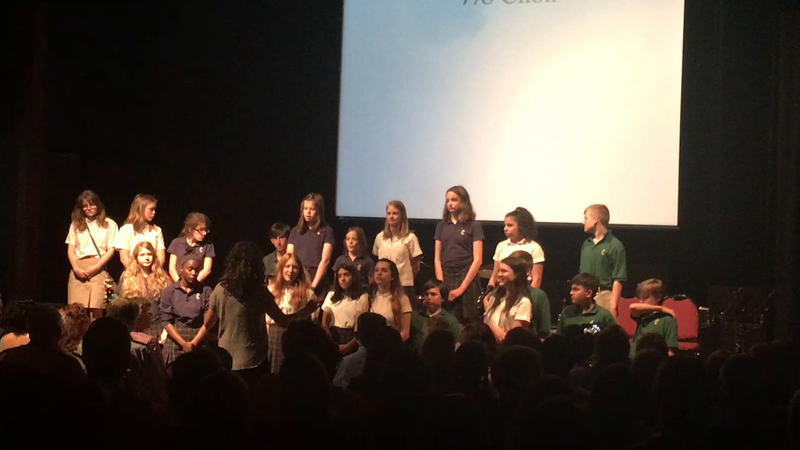 Thanks to the generous support of parents, faculty, staff, grandparents, trustees, alumni and friends, Currey Ingram Academy continues to build on its reputation of offering an exemplary educational experience for children with learning differences. It is through the philanthropy of our donors that Currey Ingram continues to broaden its academic programs, enhance its enrichment opportunities, and deepen its commitment to being a community and national resource for individuals with learning differences. Since 1968, our contributors have understood the need that our specialized program fulfills. They have, in turn, embraced the concept of a school that provides a full-scope curriculum for children with unique learning styles. 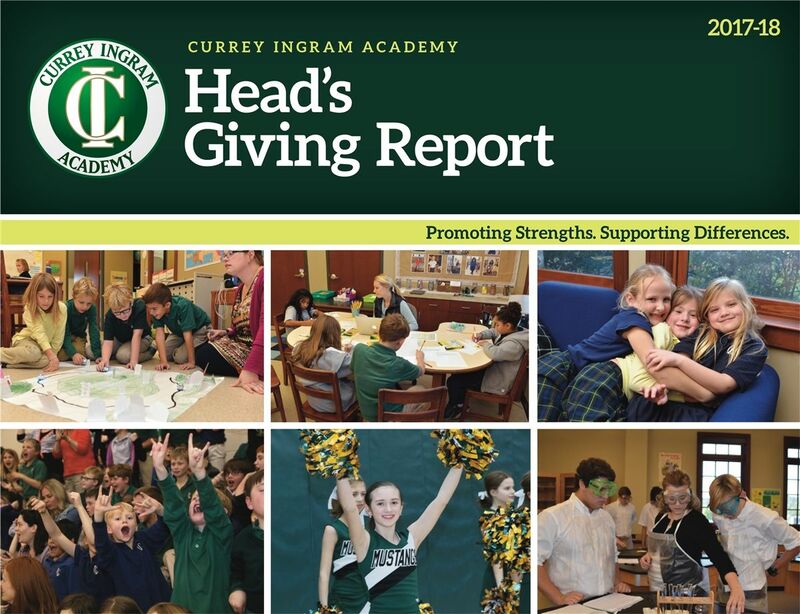 As an independent school, Currey Ingram is a non-profit, 501(c)(3) tax-deductible organization. We do not receive federal, state, or local financial support from taxpayers. We do, however, receive donations that provide funding for need-based scholarships and to make capital improvements when needed. 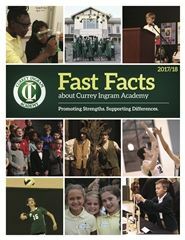 We invite you to learn more about supporting Currey Ingram Academy. Our current Head's Report is linked to the right. This report outlines all giving activity for the 2015-16 school year (2016-17 will be available this fall). There are many ways to contribute and make a difference in the lives of our students. Thank you for your support and commitment to our school. Is my gift to Currey Ingram Academy tax-deductible? In most cases, yes. Unless goods or services are provided in exchange for your gift (as in the case of purchasing a ticket to one of our special events), your gift to Currey Ingram is tax-deductible. We will provide a receipt for your records. I can only give a small amount. What should I do? Currey Ingram appreciates gifts of any amount, including gifts-in-kind (please call with questions). Strong participation in giving helps us in acquiring larger gifts from corporate and foundation donors. The fact that you give is just as important as how much you give! How do I transfer stock to Currey Ingram? In order to transfer stock, please notify the Advancement Office at (615) 507-3166 then fax or e-mail the Advancement Office a copy of your transfer order. The fax number is (615) 620-6255. May I give to Currey Ingram through The United Way? Yes, Currey Ingram is a United Way designated agency. Please note Currey Ingram’s designation number 7257 on your United Way form. Who do I contact if I have questions about my donation? Please contact Interim Director of Development Susan Hammer, susan.hammer@curreyingram.org or (615) 507-3166.